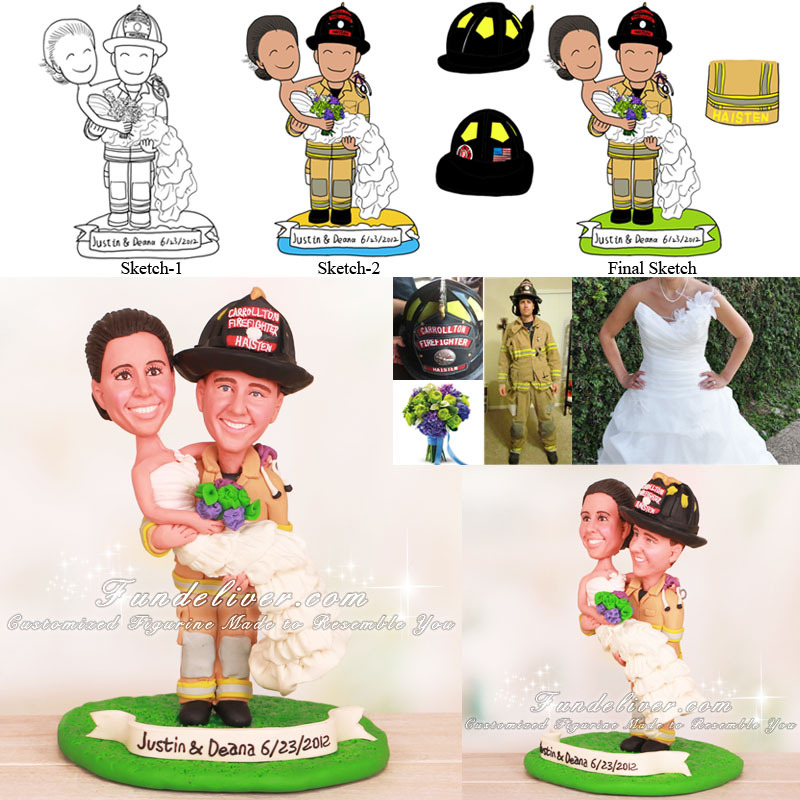 This is a completely customized firefighter groom carrying nurse bride wedding cake topper ordered by one of our customers. 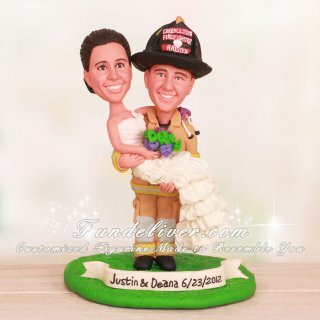 They would like the groom in his fire suit holding the bride in her wedding dress, similar to this nurse and firefighter wedding cake topper. However instead of the bride holding a nursing cap, they would like for the bride to be holding a purple stethoscope. Both bride and groom are smiling, standing on a grass base with a scroll at the bottom saying "Justin & Deana 6/23/2012".